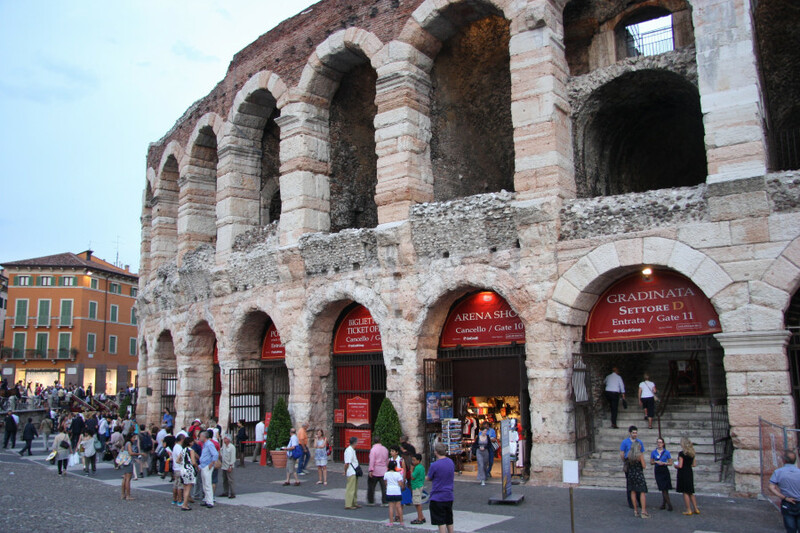 At the east side of the Piazza Bra, the well-preserved amphitheatre, the Arena of Verona, is located. After the Colosseum in Rom and the Arena of Capua, the Arena of Verona is the third largest amphitheatre in Italy. When it was constructed around 30 A.D., between the empires of Augustus and Claudius, the arena was located outside the former city walls. 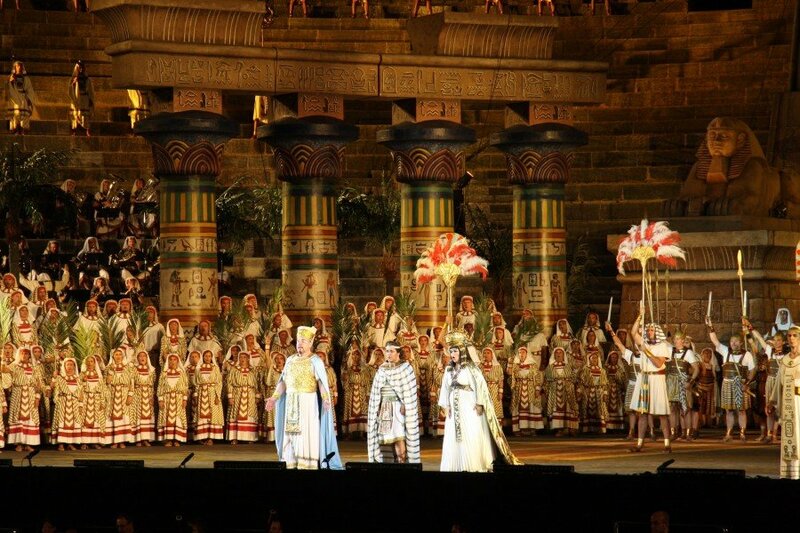 The visitors of the arena benefited through the ellipse form in many ways. 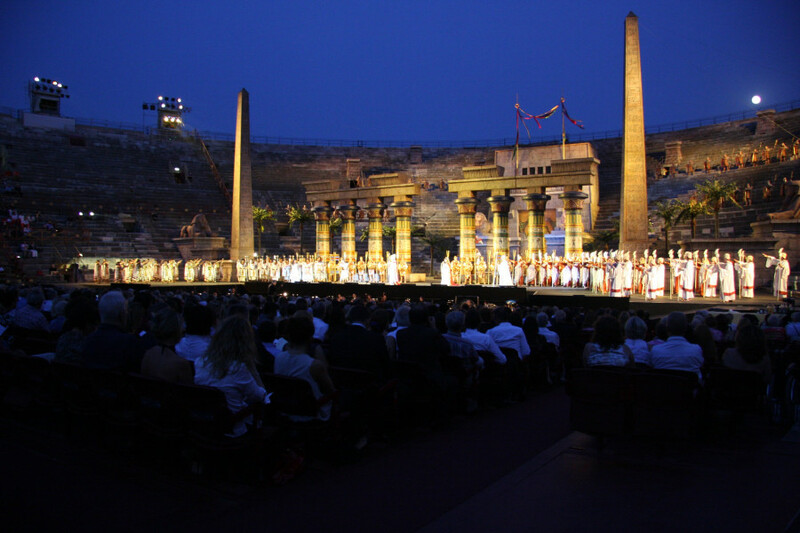 The amphitheatre provided fantastic acoustic conditions and had a capacity for 30,000 people who could watch the gladiators fight and compete with each other. The amphitheatre consists of circular walls. Unfortunately, the peripheral wall was heavily damaged during an earthquake in 1117. Nowadays, one can only see a little piece of the former wall, the so-called “wing”. If you walk around this imposing structure, you will certainly notice the quadrangles on the ground, where once the corner pillars were placed. For the construction of the facade, calciferous, white and pink-coloured blocks were taken from the stone pit in the region of Valpolicella and transported to Verona. Goethe, one of the most famous German literary figures, was heavily impressed by Italy. During his journey through Italy, he was reported to have hiked along the edge of the crater of the arena at sunset and enjoyed a breathtaking view on Verona and its surroundings. From the Renaissance onwards, there had been aspirations to transform the arena to its original function of a theatre again. 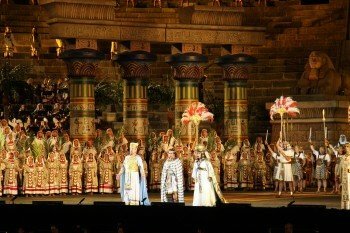 Only on the 10th of August 1913 these aspirations came to success by realizing a performance of the opera Aida in honour of Giuseppe Verdi and his 100th anniversary. Due to this event, the arena acclaimed fame for its impeccable acoustics and thus has since established itself as a top venue for concerts. 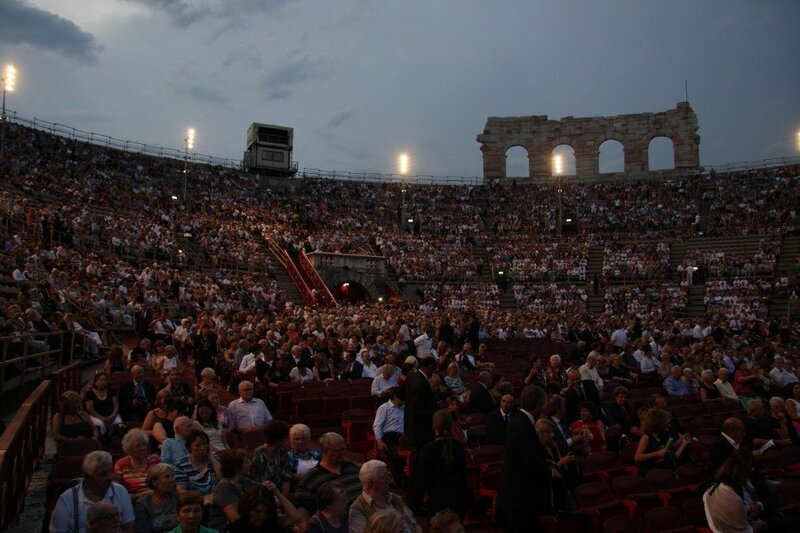 In summer, especially during June, July, and August there are many concerts taking place and operas being performed in the Arena of Verona.